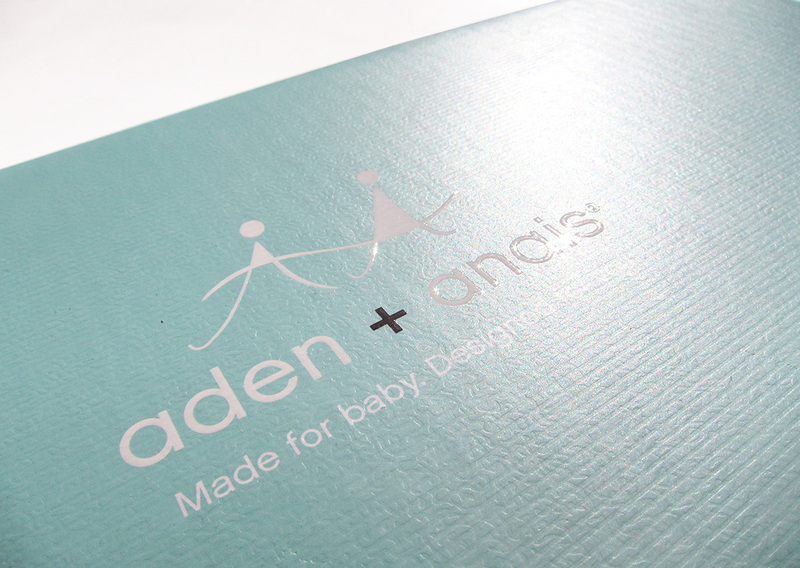 After considering redesigning and upgrading the aden® brand, aden + anais had to upgrade the bread & butter boutique brand. Months and months of development on the construction of the box, trying to create something that was giftable and exciting to open. The decision ultimately was to utilize the same construction as aden, but to put the effort into upgrading the whole look. 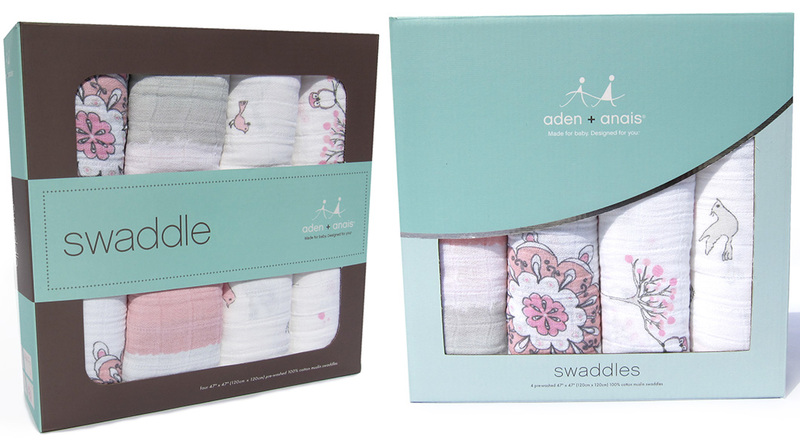 Starting with the product that started it all, the swaddles, the move to change the signature window was strategic. Other competitors changed their packaging to use the same window, so to stay one step ahead, a new signature “smile” was created. The new window allows for more of the product to be seen as well as create a signature shape that could be used in multiple ways on other collateral. Everything was simplified and upgraded to a sophisticated feel, from the product name on the front to the flexible grid of images on the back. Even with the addition of translations, the packaging does not feel cluttered or out of proportion. To make a corrugated box feel more sophisticated and special, finishing techniques are used to elevate the look of the simplified box. 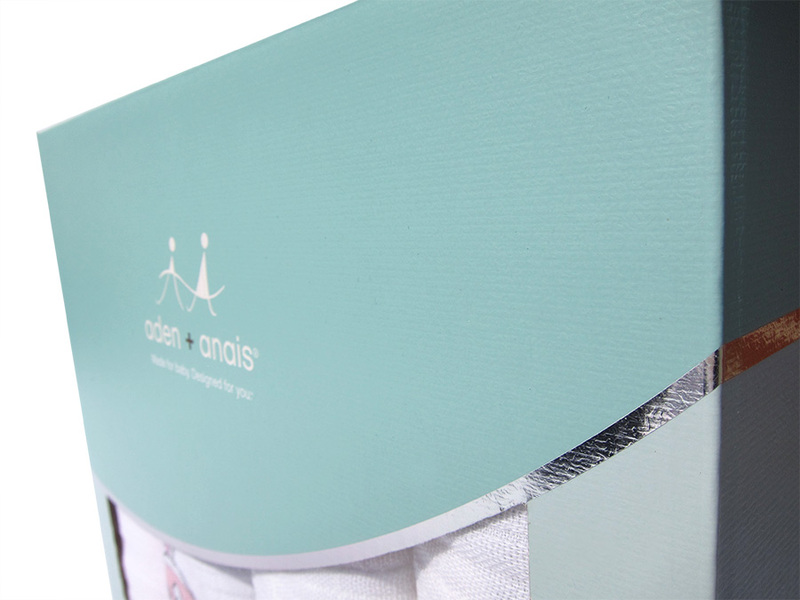 An overall debossed texture was applied to the original matte lamination, giving the consumer an instant feeling of the quality product that is on the inside. A spot UV and embossed logo pops off the signature pool to contrast the debased texture. To highlight the smile and add another pop on the shelf, silver foil was added as a border to the signature smile. 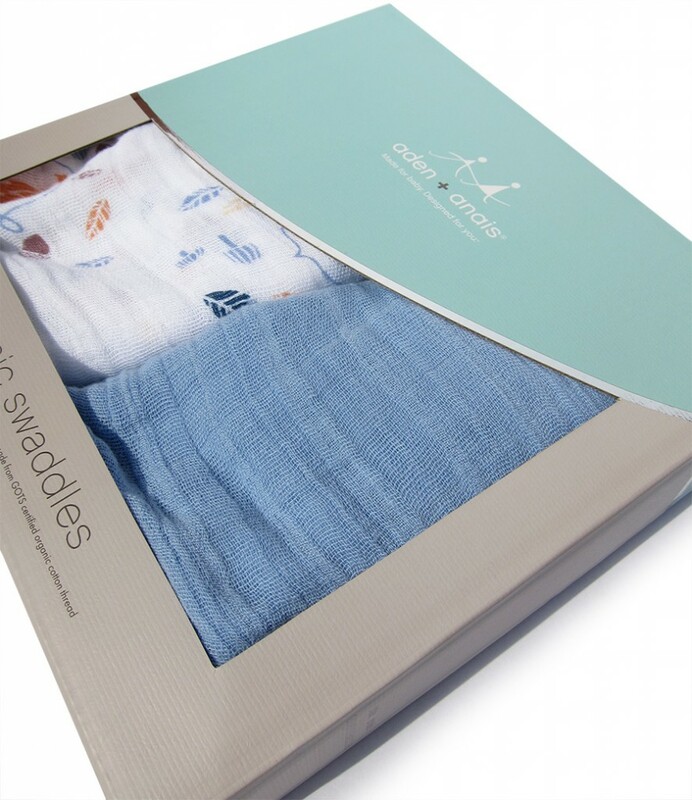 The old packaging utilized colors and paper stocks to distinguish between the different types of fabric: classic cotton, bamboo and organic. 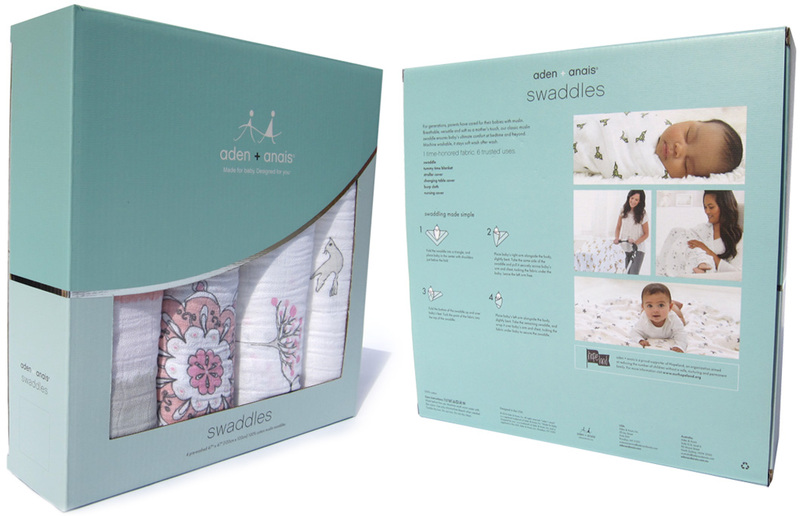 With the interest of a smooth transition in mind, color was utilized on the lower portion of the box to clearly distinguish the difference between the fabric types. The bamboo did away with the crunch kraft paper, for a rich, chocolate brown that is a primary brand color. The organic set stuck with the signature warm gray, as it is a wonderful complement to the primary colors.